This Alen 42 is the ultimate day boat although you can easily sleep on her. She is sleek and refined, combining elegance with technical innovation. She has an all-round deck allowing enough space on board in full comfort and safety while her V-shaped hull ensures steady cruising in all conditions. It's the little luxury touches that make all the difference with this very fashionable cruiser. Like retractable anchor windlass, retractable cleats, underwater LED lights, leather trimming stitching around the beds, lacquered wall panels. The T-top alone was a € 13 500 extra. From St Tropez to Monaco, this beautifully appointed boat is a real head turner. Note: Offers on the asking price may be considered. VAT paid. 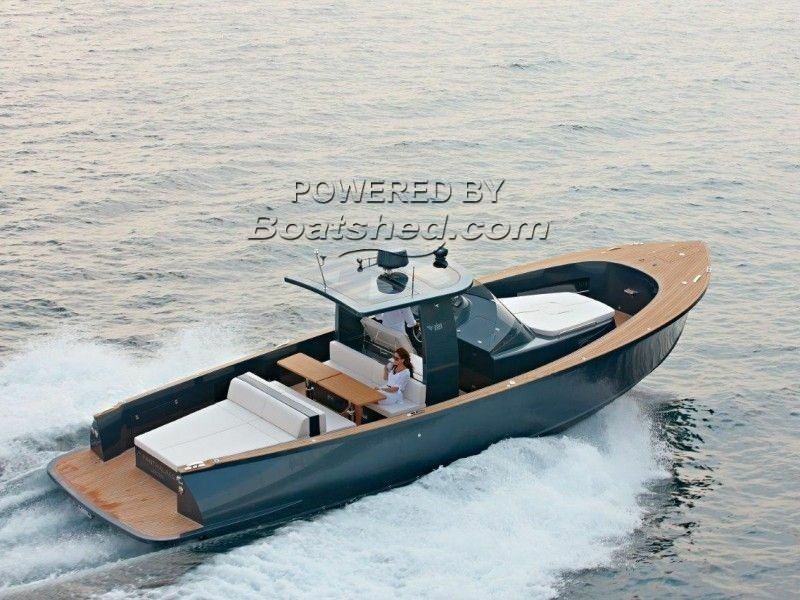 This Alen T-Top Tender 42 has been personally photographed and viewed by Edward Kay of Boatshed Riviera. Click here for contact details.